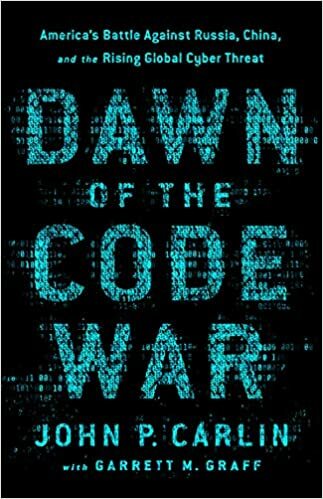 Dawn of the Code War is a sobering account of the cyber threats faced by nation-states, private companies and citizens like you and me. The author shares his experiences working in the U.S. Justice Department, giving a comprehensive look at some of the most notorious hacks throughout the history of networked computing. John provides a clear picture of the devastation caused by past cyber attacks, both in terms of physical infrastructure and the privacy and security of individuals. Whether the motives of the perpetrators are for personal gain, corporate espionage or to inflict fear and collateral damage, the end results are disastrous. After reading the book, I feel I am more knowledgeable about the history, methods and potential motives of cyber criminals. I recommend this book for anyone who wants to become better informed on this topic.